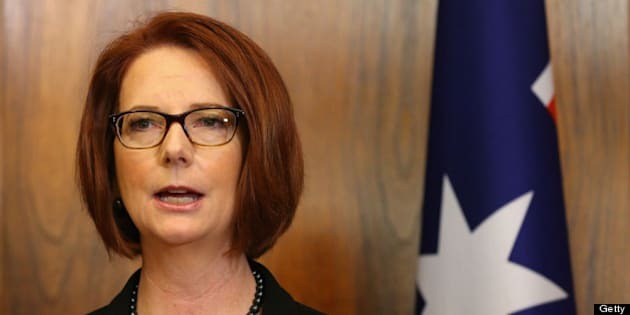 CANBERRA, Australia - Australian Prime Minister Julia Gillard has thrown open her job to a leadership ballot in response to reports that supporters of her intra-party rival Kevin Rudd were gearing up to challenge her. Gillard says there will be a ballot of lawmakers in the ruling Labor Party at 09:00 GMT Wednesday. Rudd has not yet said whether he will challenge Gillard, who ousted him as prime minister in 2010. Opinion polls show that the party could face huge losses in elections set for September, but that Rudd would be a more popular leader than Gillard. Gillard said: "I wouldn't be putting myself forward unless I had a degree of confidence about the support of my parliamentary colleagues."